Soldiers, to Arms! 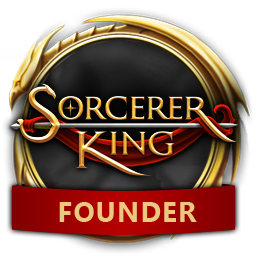 Sorcerer King v1.4 is Available Today! Starting soldier units are now able to equip weapons and armor. Armed and Ready for War: v1.4 makes the "little" guys feel "tall"
with cool new abilities and allowing them to equip weapons and armor! Version 1.4 is here and we think it was something worth waiting for! The Dev Team has made some changes to game play that affects starting units, resource management, and interactions with your allies (and your enemies). Many of these changes are "under the blanket," so to speak, but you should certainly notice them during play. If you want to take a peek at the complete change log, check the bottom of the post! Starting units can now equip weapons and armor! 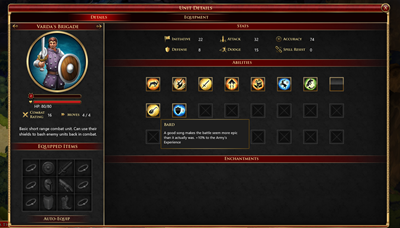 We have included an "auto equip" button to remove some of the tedium of equipping units. 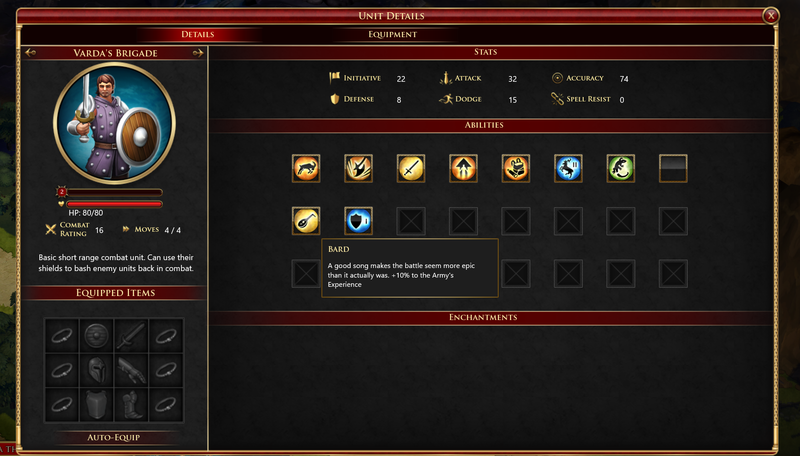 We have also added some cool new abilities to these soldiers to make them a bit more formidable in battle. You will also find that your trained units have these benefits as well. In addition, starting units no longer cost any logistics. Resources now accumulate! 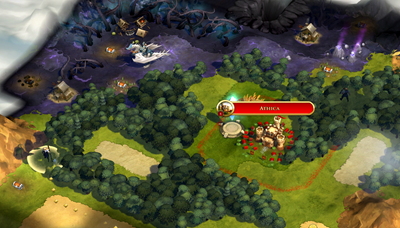 There are some units in the game that require resources other than simple logistics to be trained. We have altered the system a bit so that now when you claim a metal mine, pasture, or crystal mine, the resources accumulate and grow by 1 each turn. When you train a unit, you consume the required amount of resources and must accumulate more. Remnant Factions are stronger and smarter! The remnant factions that you meet throughout the game have been given a buff to their AI so that they provide more challenge (or assistance, if you decided to become allies) to you. They will attack enemies more aggressively and charge you more for units they provide. The Sorcerer King now has a greater variance of units that he will spawn every round! The Doomsday counter also raises after every 8 turns instead of every 10. We hope you enjoy v1.4 and always appreciate your feedback! For more insight into the changes, you can check out CEO and President Brad Wardell's dev journal here. You can also view the full change log below. Resource system overhaul: Resources are now a more important part of the game play. Resources collected from nodes are now stored and accumulate over time. Many units now require these extra resources in order to be trained. You will find yourself changing strategies based on the resources available. Friendly races don't give units to you as cheaply. Starting soldier unit now can equip swords, is a veteran, has endurance 2, has regen 1, is a bard, and gets a defense bonus as it levels up. Hunter's Sword requires level 3 to use.